In my fridge I had a pile of mutated carrots I needed to do something with and I honestly haven’t want to cook them – only because they needed peeling and obviously that wouldn’t be that easy! 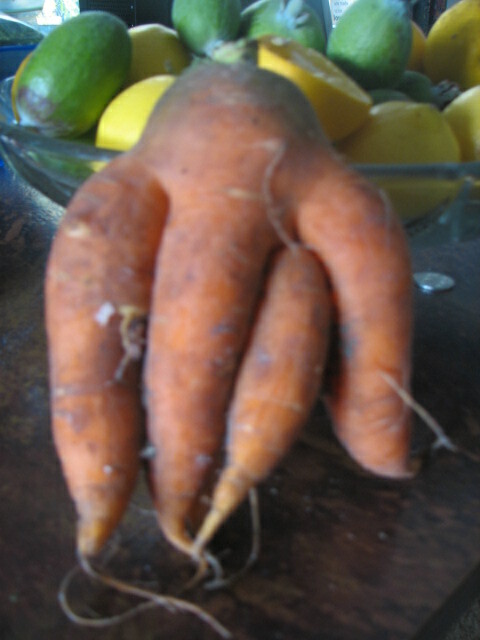 I remembered seeing a recipe for dog biscuits with carrot carrot in. Having 3 dogs in the house means we go through a few treats so, inspired by this recipe http://www.17apart.com/2012/02/how-to-carrot-banana-natural-dog-treat.html I made some with a few tweaks. You must look here to find the original recipe and also see the cutest wee dog biscuits :). Mine are not cute – they’re very ordinary lol, but the dogs seriously loved them. Preheat oven to 350 deg. Mix 2 1/2 cups flour, bran and cornflour in a large bowl. Sir in grated carrot. In a small bowl mash a banana, add molasses, eggs, honey and oil and mix well. Add to dry ingredients. Add the extra flour if needed to make a stiff dough. Tip out onto a floured bench and roll out to 1 cm thick. Cut into squares, place on 2 greased oven trays and bake for 35 minutes. Turn oven off after this and leave to go hard in warm oven. 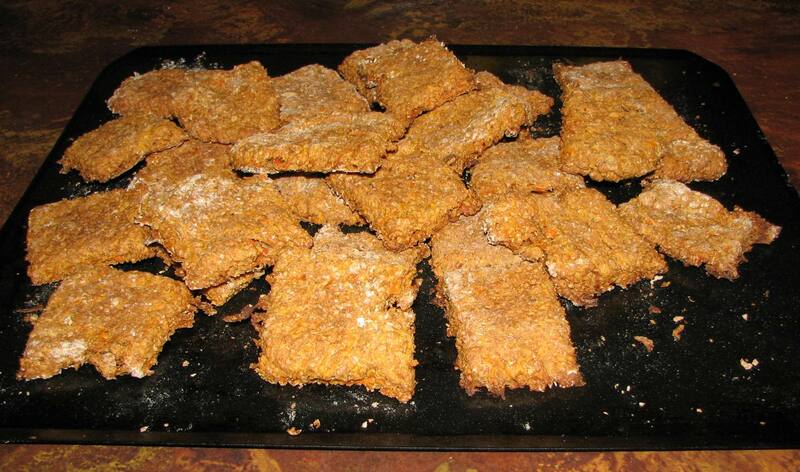 A post note on this – I made these a week later using grated pumpkin and rolled oats in with the flour and the dogs loved them also.